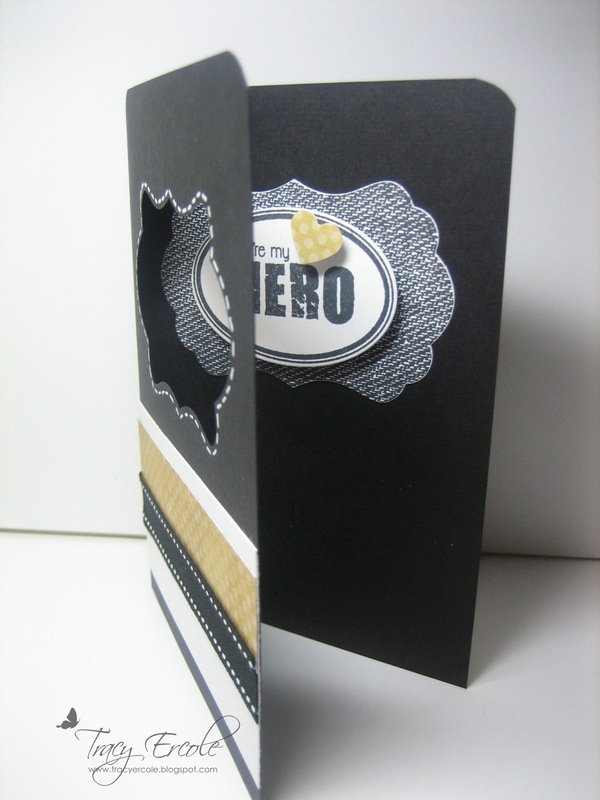 I made this card for a challenge on Cards For Men which is challenge 16 - Clean & Simple. I used Papertrey Ink ribbon so I am also putting it in the challenge on the A Passion for Papertrey blog which is 'For the Boys'. This is a really great card - and so very masculine! 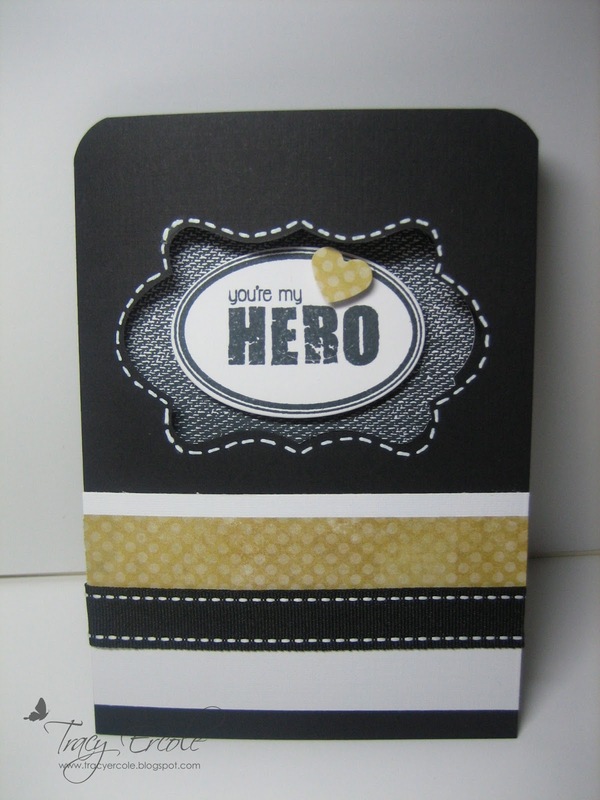 I struggle every time I need to make a masculine card and they always come out a tad 'girly' still. You definitely nailed this!! Love the cut out window. Great masculine card! Thanks for joining us at Cards for Men Challenge. You did a great job making your card Clean and Simple. I love seeing you creations. Good luck on the challenge. Love the splash of green and the clever window - great guy card. 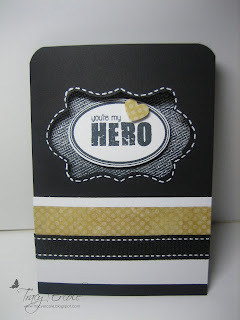 Thanks for joining us at A Passion for Papertrey.